Despite declines in core businesses, a more diversified portfolio is enabling Cisco to grow. Cisco is continuing to realign its business at a global level, focusing on growth areas such as security and collaboration to offset declines in network hardware. As outlined during the tech giant’s third quarter earnings, which beat analyst expectations, the vendor is working to move away from the sluggish equipment industry, into the fast-growing services market as businesses move workloads and operations to the Cloud. During the third quarter, Cisco reported earnings of 57 cents a share on $US12 billion in sales, “executing well despite the challenging environment”. “I’m pleased with our performance today as well as the progress we're making in transitioning our business to a more software and subscription focus, which we'll continue to apply across our entire portfolio,” Cisco CEO, Chuck Robbins, said. Organically, Cisco’s revenue declined 1.1 percent year-to-year, primarily driven by lower demand for its core networking solutions and excluding its divested CPE business, revenue grew three percent year-to-year. “Cisco recognises demand for network hardware will fall over the next several years as its customers shift investment to software-mediated solutions,” Technology Business Research Analyst, Patrick Filkins, said. In its growth segments, Filkins said Cisco is committed to driving recurring revenue from sales of software and services. “Software sales are structured according to the Cisco ONE delivery model where it provides customers with a range of licensing options to ensure hardware investment is complemented by automatic software updates,” Filkins explained. Consequently, Filkins believes Cisco’s strategy will enable it to drive higher software sales, which deliver strong margins, partially offsetting the negative effects of hardware commoditisation on its core businesses. 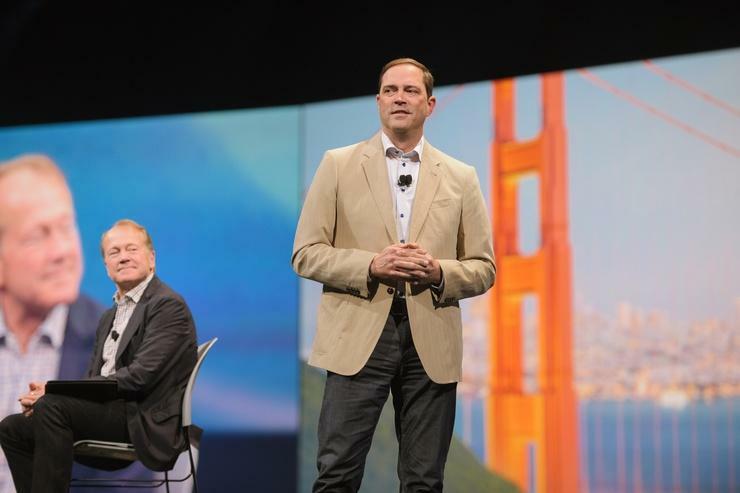 Going forward, Filkins said Cisco is building on its networking heritage by realigning its engineering teams to drive Cloud innovation. “Cisco’s latest round of restructuring demonstrates its ICT transformation while maintaining its core networking roots,” he said. In March 2016, Robbins announced substantial changes to the company’s engineering organisation, which will now align under four segments: Networking, Market Segments and Solutions (NMS); Security; Internet of Things and Applications; and a new Cloud Services and Platforms group. Under the NMS group, Yvette Kanouff will lead Cisco’s Service Provider business, supplanting Kelly Ahuja, an 18-year Cisco veteran. Kanouff served as SVP and GM of Cisco’s Cloud Solutions group, indicating Cisco’s desire to rapidly shift to a Cloud-first focus in the telecom market. “This restructuring is necessary as Cisco’s customers transform and adopt Cloud, SDN and IoT infrastructure,” Filkins said. “However, like many of its peers, Cisco will be challenged by the business and financial model shifts associated with Cloud services. Following a yearly decline in its datacentre segment in 4Q15 and single-digit growth in 1Q16, Filkins said Cisco is expanding its portfolio to find new growth. “Cisco views technological disruption in the datacentre, driven by a shift to software-centric converged and hyperconverged solutions, as a growth opportunity,” Filkins said. In March Cisco commercially launched HyperFlex, its hyperconverged solution, which is engineered to converge a customers’ networking fabric (Nexus), compute (UCS), storage and hypervisor software into one stack. “Cisco partnered with Springpath, in which it is an investor, to deliver network storage through software,” Filkins explained. For Filkins, storage is an area in which Cisco has struggled to monetise on its own, as evidenced by the discontinuation of its Invicta flash storage products in 3Q15 and its reliance on partners such as EMC to supply converged solutions through the VCE business group. While Cisco is a late entrant in the hyperconverged market, Filkins believes it will leverage its networking heritage to differentiate by offering swift integration with customers’ network infrastructure, which is typically a technical hurdle during hyperconverged implementations.